Acne. Just say the word and watch your teenager run from the room. Dealing with acne is bad, but sometimes the harsh over-the-counter products that people use to deal with it are almost harsher. At the Center for Dermatology and Laser Surgery, we are acne experts. Our treatments depend on the type and severity of lesions, along with the patient’s skin type and age. Acne comes down to the sebaceous glands. These are the glands attached to hair follicles in the skin on the face, neck, back, and chest. These glands produce oil that keeps our skin and hair from drying out. This oil normally comes up to the surface and is released through the opening of the follicle/pore. This is the normal process. But when hormones start raging, as they do in teenagers, the sebaceous glands can overproduce oil, kind of like OPEC on your face. This overproduction can clog the follicles and the oil doesn’t reach the surface, but is trapped below the skin surface. This glut of oil begins to grow Priopionibacterium acnes (P. acnes) beneath the skin. This triggers a reaction in the body with chemical and enzymes that get the attention of the white blood cells. They come to the scene and cause inflammation. This process ends with the breakdown of the follicle wall as the oil, dead skin cells, and bacteria push upward to form pimples. Now you have a breakout, the frustration of every teenager! 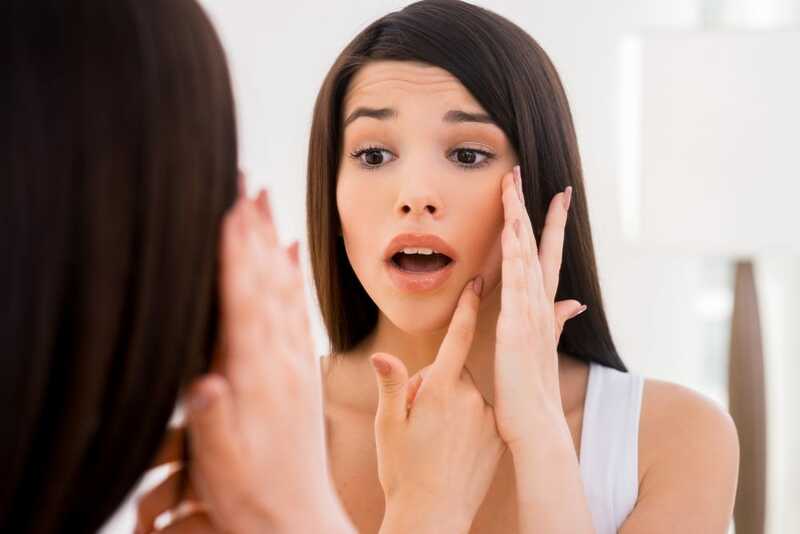 At the Center for Dermatology and Laser Surgery, we have various approaches to treat acne and ward off potential unwanted side effects, like scarring. Procedures such as photodynamic therapy, as well as certain lasers and specific peels, can work to kill the unwanted bacteria and reduce inflammation in the skin. There are also a number of prescription medications, both topical and systemic, as well as various over-the-counter treatments, which can be customized for the patient, which are aimed at reducing or eliminating acne symptoms. There’s no reason to watch your teenager suffer through the whole acne process any longer. At the Center for Dermatology and Laser Surgery we can help. Call us at 503-297-3440 to schedule your appointment.